VGC’s Educate for Change is an international initiative that puts money back into NGO’s that support education in developing countries. VGC International College is proud to be partners with a Brazilian NGO. For each Brazilian student that attends VGC, we will give a dollar a day to Casa do Zezinho. The collected funds are utilized to purchase school supplies and goods aimed to assist low income families interested in improving themselves through education. CASA DO ZEZINHO “creates conditions, by way of education, art and culture, so that low income children and young adults under extremely vulnerable conditions can overcome the barriers imposed by their living standards and become self-reliant with the ability to make mature decisions about their own lives.” Located in what is called the “triangle of death” (between Jardim Angela, Jardim Sao Luiz and Capao Redondo in the outskirts of Sao Paulo), CASA DO ZEZINHO educates children and young adults that live below the poverty line, most live in no more than two room shacks with the rest of their family members (usually up to 10 people), immersed in violence inside and outside their homes. Please note: Donations are made in tangible goods such as: textbooks, pens, and paper. VGC International College does not benefit from any tax breaks. VGC International College is proud to be partners with a Panamanian NGO. For each Panamanian student that attends VGC, we will give a dollar a day to Instituto Urracá. The collected funds are utilized to purchase school supplies and goods aimed to assist low income students in receiving the necessary skills to reach further academic and personal goals through education. 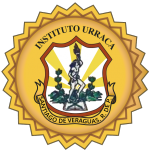 INSTITUTO URRACA with limited resources, it promotes academic excellence and calls for young students to work hard towards attaining higher academic and professional goals. Instituto Urracá delivers a structured theory and hands-on high school program to students from low income families and various cultural backgrounds. In order to encourage students to continue studying and even create their own business after finishing their high school studies, this institution has created high school level technical courses and learning centers for the areas of: commerce, accounting, science, and humanities. The specialized courses provide basic knowledge in the aforementioned areas with the intention of providing learning tools that seek to foster the student’s interest in pursuing higher opportunities that would help them reach a brighter future. The funds allocated by VGC to this NGO will initially be used to enhance the equipment used in the learning center dedicated to commerce, which uses equipment from the late ‘70s.